SUPERLATIVES are tough to lay legitimate claims to especially for establishments that have several others to contend with in the same category. Still, there are those that one can’t help sing praises for—due in part to the ambience and other factors but mostly because of the quality of food served. In celebration of the Year of the Earth Pig, we round up some of the Chinese restaurants both time-tested and new, and the exceptional pork dishes they offer. Guests of the country’s premier waterpark resort are spoiled for choice when it comes to food. With over 10 outlets that cover most continents across the globe, dining here is one great gastronomic adventure. One restaurant worth making the trip for is Ching Hai which serves up flavorful authentic Chinese cuisine prepared by Malaysian-Chinese executive chef Kenny Yong. His masterpieces include dim sum, and braised and steamed seafood. But if one had to sample one pork dish, it would have to be the braised pork knuckles, slow-cooked to its perfectly tender form in a sauce that’s sweet, salty and slightly sticky from that pork collagen. Hai Shin Lou (Seafood King) Restaurant has landed in the Queen City, its only branch outside Metro Manila. Authentic Cantonese cuisine awaits diners as its kitchen is helmed by one roasting chef, one dim sum chef and one wok chef, all from Hong Kong. With an extensive menu of over 300 items ranging from appetizers and soups to noodles, meat dishes and live seafood, Hai Shin Lou makes use of the best local and imported ingredients and offers the best of the land and sea. Since it soft opened in August, one favorite among meat lovers is the peppercorn spare ribs with its bone-in, salty peppery goodness, topped with fried garlic bits. At Tin Gow, SunStar Cebu’s Best of Cebu grand slam winner for Best Chinese Restaurant (2013, 2014 and 2015), familiar Cantonese flavors and the more exotic Szechuan cuisine come together in both classic and fusion preparations and in a setting fit for a king. The dim sum items will always be surefire mainstays on any Chinese menu but there are also a la carte offerings waiting to be explored by taste buds, adventurous or not. One of its bestsellers is the sweet and sour pork, thinly cut and cooked to a crisp and drenched in a sweet and sour sauce that will have one clamoring for seconds. If treating appetizer as a main dish is wrong, then we don’t want to be right. This pork belly is slow-roasted so the meat remains succulent but the skin crackles in every bite. There’s a long list of ingredients for this one and a technique that requires more dexterity than usual which explains the beautifully complex flavors that hit you upon first bite of the seemingly simple dish. But devouring it? Now that’s the easy part. An institution when it comes to Chinese food, The Ching Palace has played host to many celebrations for years now. It’s always a feast at this well-loved restaurant with its family-style setting and Ching Palace consistently delivers flavor-wise. 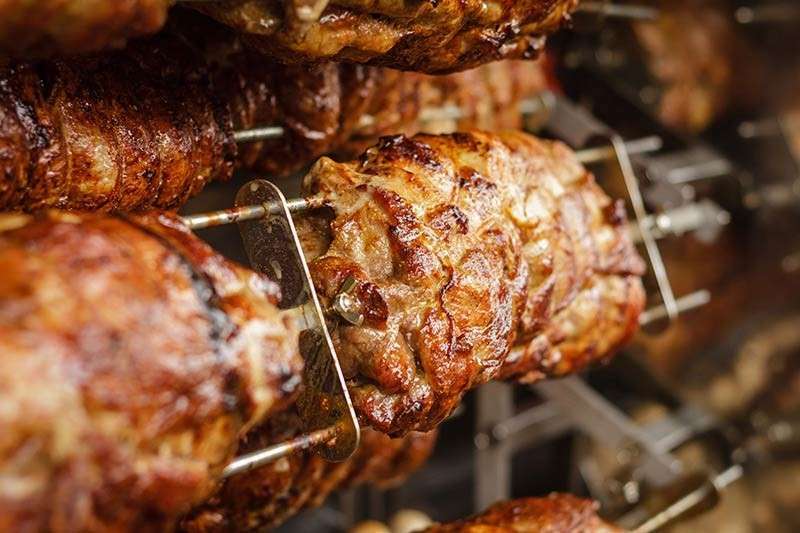 Although it’s more known for its fresh and live seafood, there are must-try meat items too. Not to be missed is the pata tim with cua pao (steamed buns). Pork leg is braised low and slow until fork-tender in a sauce that’s aromatic and richly flavored with soy sauce, garlic, peppercorns, sugar and star anise, to enumerate a few. The cua pao is perfect for mopping up that sweet and savory sauce.